Conector: USB A - JACK macho. Compatible con MacOS X, Windows* 98SE/2000/XP/ VISTA/Win7. Conexión simple plug-and play sin necesidad de añadir drivers. Cable BESPECO EAGLE MIDI CM100P. Cable BESPECO EAGLE MIDI CM300P. Cable BESPECO EAGLE MIDI CM500P. 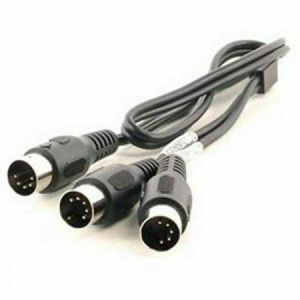 Cable BESPECO EAGLE MIDI CM50P. Cable BESPECO SILOS SLAA 300 USB A-A. 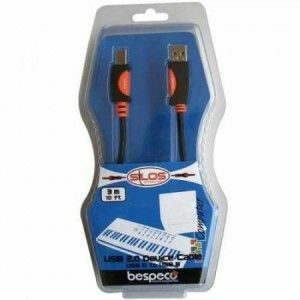 Cable BESPECO SILOS SLAB 300 USB A-B.